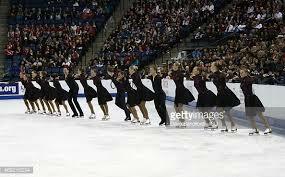 World Championship Synchronized Skating Championships. On April 10, 2015 I had the opportunity to attend the World Championship Synchronized Skating Championships in Hamilton, ON Canada. It was an event that I just decided to go to a the last minute. It was a fantastic evening. There were 25 teams of 16 skaters, females and males, from 20 countries . Canada, Finland, Russia and Sweden were represented by 2 teams each. Two surprising countries in the competition where Mexico and Turkey. many of the skating elements you have seen in other skating competitions. It very exciting to be part of the crowd when the Canadian teams entered the arena and the crowd went wild. If you have a chance to go to a World Championship Competition for any sport go out and support the participants. I knew nothing about Synchronized Skating, I learned a lot and had a great time. The Pan Am games are coming Toronto Canada you have a chance to learn a lot and have a great time too.